Offering full turn key solutions, our core strength is lighting within commercial and industrial environments. Ecolighting offers a versatile product range using the latest LED technology, creating bespoke solutions for any number of applications. 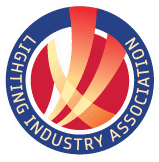 We are a Carbon Trust Accredited Supplier, assessed to BS EN ISO 9001:2015 and also members of the Lighting Industry Association. All this means we are fully committed to offering exceptional service, quality, technology and value.